You ask any young, talented and career-focused Emirati woman about her idol, and there will be a common answer shouting – Sheikha Lubna Khalid. An inspiration to millions of women across the globe, this royal princess of Sharjah is a perfect example of a goal-oriented lady. Her dedication towards work came into picture in the initial years of her employment as a computer programmer when she worked for 10 complete hours each day. This was a mere stepping stone in her career, she achieved her first milestone when her talent was noticed by the Ruler of Dubai, and he appointed her as the head of Tejori.com (a business-to-business project). From there she never looked back. Vivacious and ever-smiling, Sheikha Lubna became the first woman to gain a high-ranking job in the UAE Government. She even refused offers from the US, with a view to serve her own land. She realizes her duties towards the society as well, and widely volunteers at the ‘Friends of Cancer Patients’, where she interacts with patients and fills them with hope; she is also a member of the Board of Directors at the Emirates Foundation, Abu Dhabi for Philanthropy. 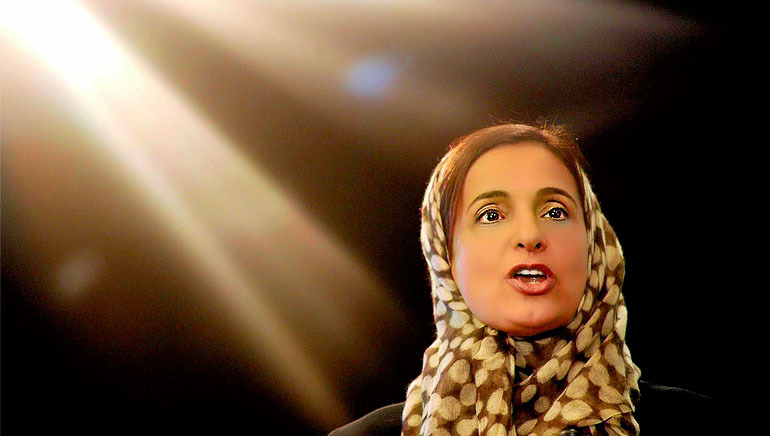 Sheikha Lubna comes across as a tough woman when it comes to work, and a light-heated, pulsating persona when visiting university campuses or social service centres.